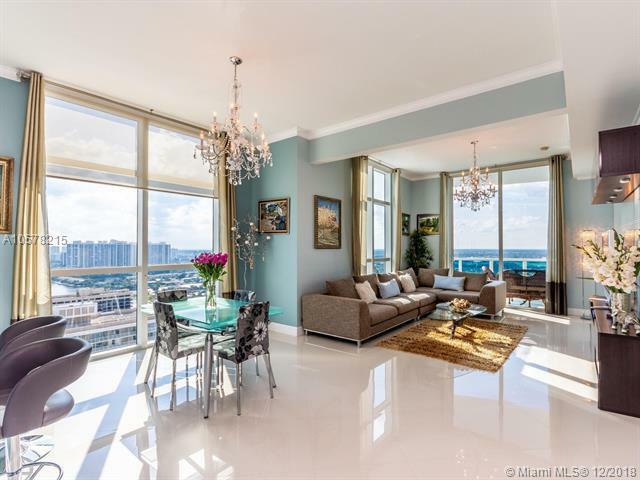 Beautiful 26th fl unit w/10.5 ft ceilings. 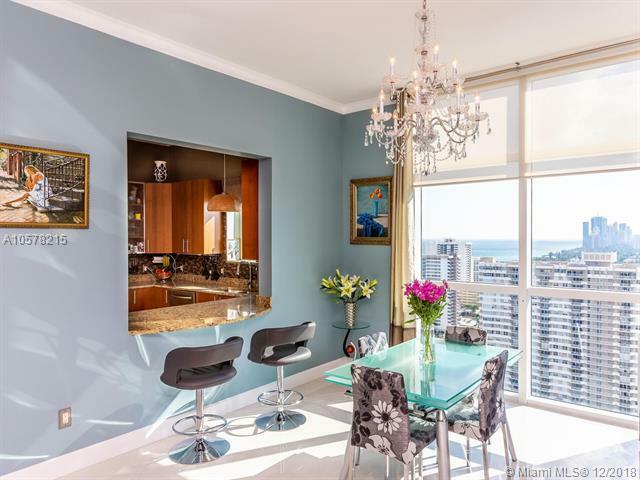 This condo has three bedrooms including 2 master suites with a custom sauna. 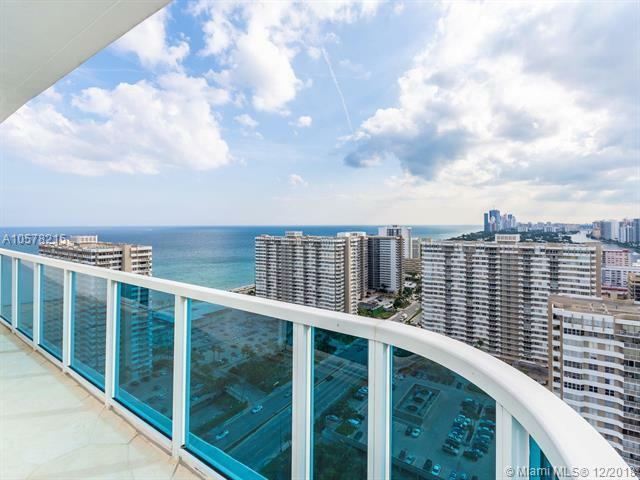 The 2 large balconies and floor to ceiling, high impact windows give fantastic views of the Intracoastal & the Beach. 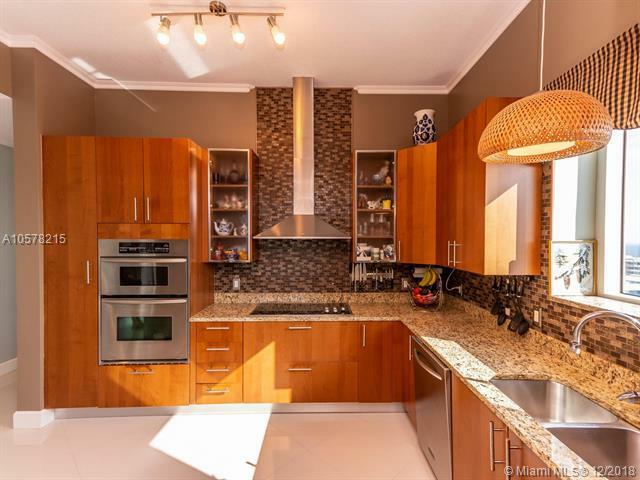 This updated unit has wood cabinetry & stainless steel appliances in the roomy kitchen. Unit has 2 A/C units and a reverse osmosis water filtration system. The building has 24 hour doorman/security. The outdoor pool area is surrounded by 36 cabanas. Building features include a community boat dock, fitness center, business center, individual storage units for each residence and 2 reserved parking spaces in the enclosed garage.